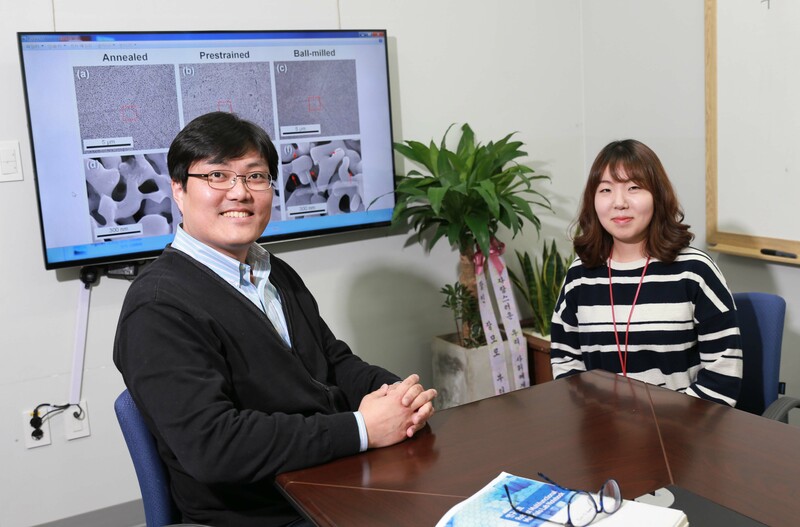 Prof. Ju-Young KIm and Researcher Eunji Gwak are smiling in front of the picture of their development, the nanoporous gold. This new material is more solid and 30% lighter than a regular gold. Prof. Ju-Young Kim's team used a ball milling techqnique to elevate the strength and durability. 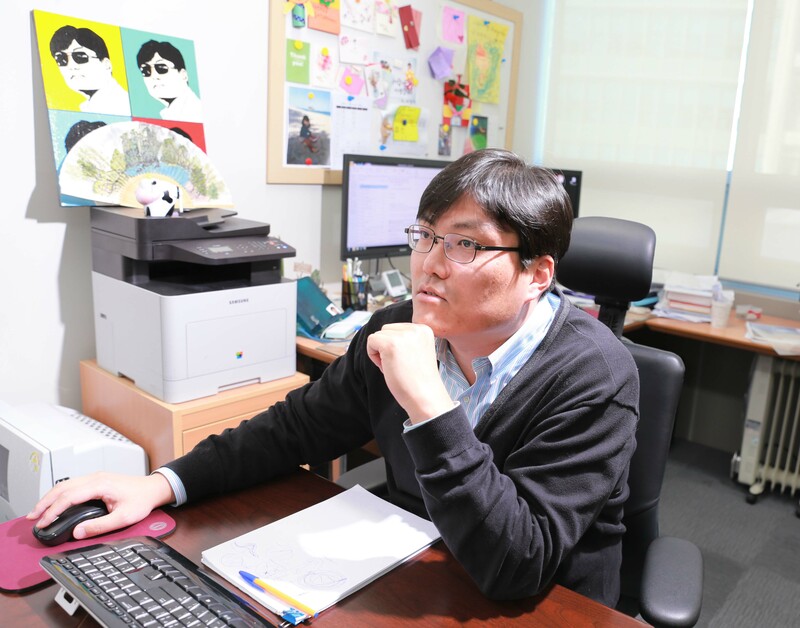 Prof. Ju-Young Kim (School of Materials Science and Engineering)’s research team developed an ultralight nanoporous gold with high strength. 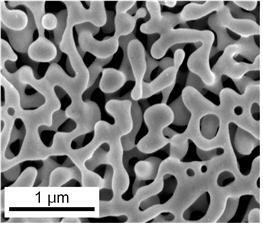 This newly developed material is twice more solid than a regular gold and it is 30% lighter. This research outcome was selected to introduce on the online version of Nano Letters on March 22, 2016. This gold loses its original gloss, therefore it looks black. So it’s called Black Gold. Black gold has a structure with many holes, but with strength and durability. The porous materials are not difficult to elevate the reaction efficiency since they have wider surfaces than their sizes. However, if there are more holes, then it would get more difficult to use in various areas with weaker strength. Prof. Kim’s team used a ball milling technique to elevate the strength of nanoporous gold. This newly developed nanoporous gold maintains the good qualities of the regular gold, so it is possible to be used in various ways after coating it with various ingredients on the surface. 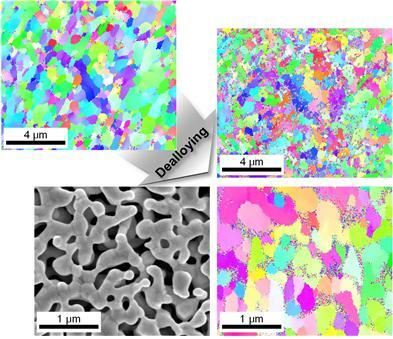 A research team developes the nanoporous structure after strengthening with ball milling technique and producing silver only with dealloying technique.